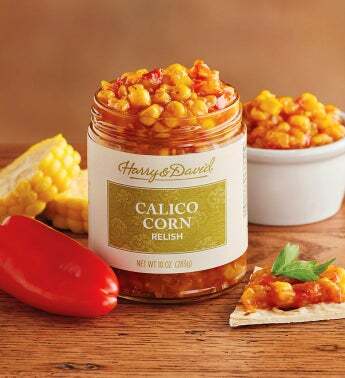 Inspired by classic Southwest relish recipes, this corn-based relish features a savory mix of onion and red bell pepper with a touch of vinegar for zest. A hint of mustard seed rounds out the flavor profile. Our assortment of gourmet sauces offers a variety of premium selections that are wonderful accents for entrées and appetizers of all sorts. Your imagination is the limit.